A Novel Cover Up is a semi-regular feature that looks at how covers are made. 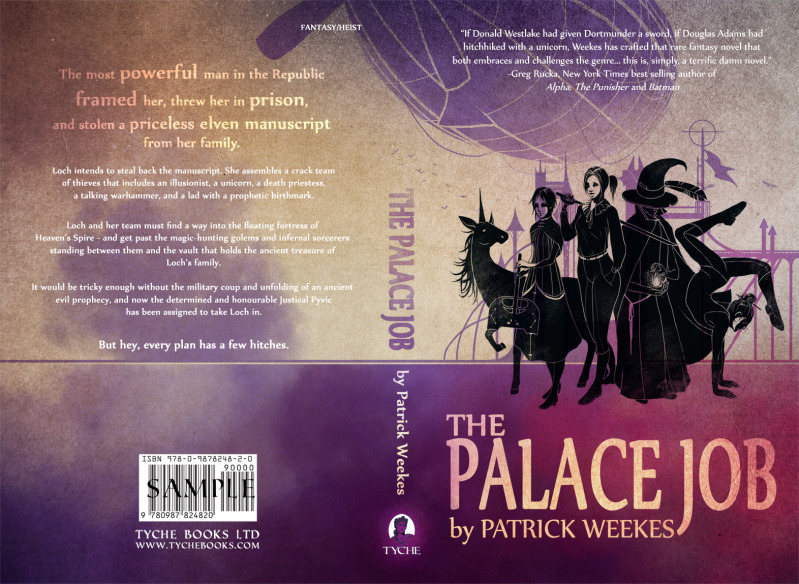 Thanks to Tyche, as part of the Blog Tour for The Palace Job by Patrick Weekes, I was able to interview illustrator Lili Ibrahim about how she designed the cover for The Palace Job. All images in this post are copyrighted to Lili Ibrahim, unless otherwise stated, and used with permision. All images can be clicked to enlarged. Can you tell us about the cover for The Palace Job? What do you hope it tells readers about the story? 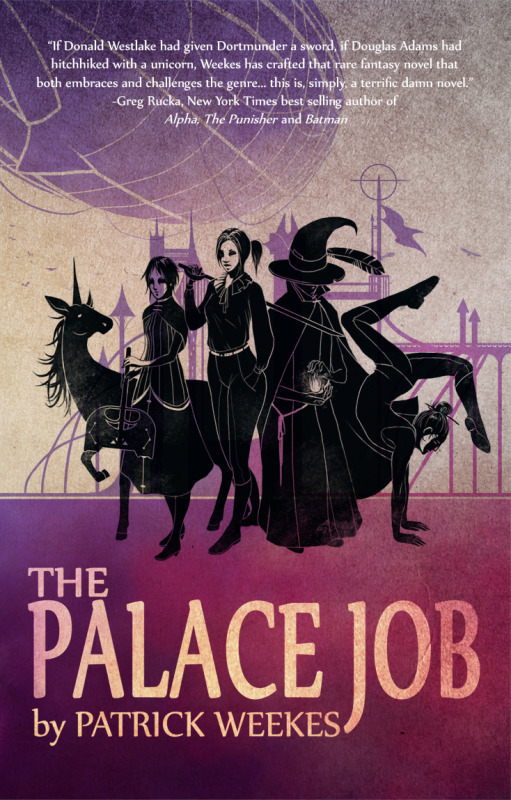 What I like about the cover for ‘The Palace Job’ is that it gives the impression of an old fashioned ‘Wanted’ poster – reflecting the activities of the main characters. I hope it gives the readers an idea of an atmosphere, and I hope that whoever picks up the book feels like they want to know more about the strange crew on the cover. Most the ideas I get are developed through a lot of sketching and researching. 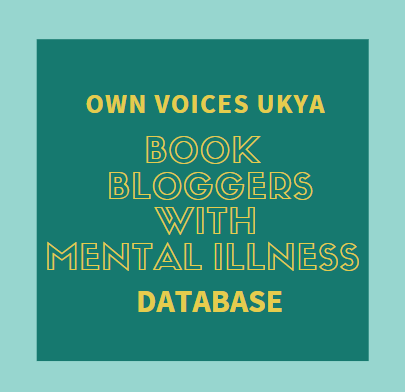 I already had a good starting point given to me from the publishers, and from there I rely on my brainstorming journey to find a good approach. I always wanted to try my hands on silhouette styled illustrations, so there was a lot of motivation on that front! I was given a few base ideas and inspirations to look at before creating my sketches. 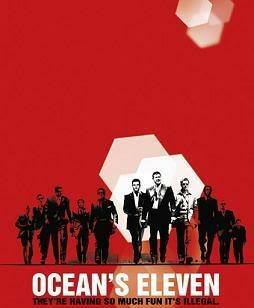 For the silhouette effect I was given the oceans eleven poster as a starting point. Several parody versions have been made on that poster since, and the publishers wanted this book to also use these visuals. Image copyrighted to Warner Bros. I had a big set of characters to work with originally, that I was free to cut down as I saw needed for the composition. I was also given images of existing characters and actors for some of the cast, as examples on what they would look like. To not whitewash the cast was very important to the publisher and author, and I did my best to communicate ethnicity in the silhouetted faces! This character, from Walt Disney's 'Atlantis: The Lost Empire', was given as an example for the body structure of one of the characters that unfortunately wasn't included in the final set of characters. What went into creating the The Palace Job cover? Can you tell us about the process? Who else was involved? 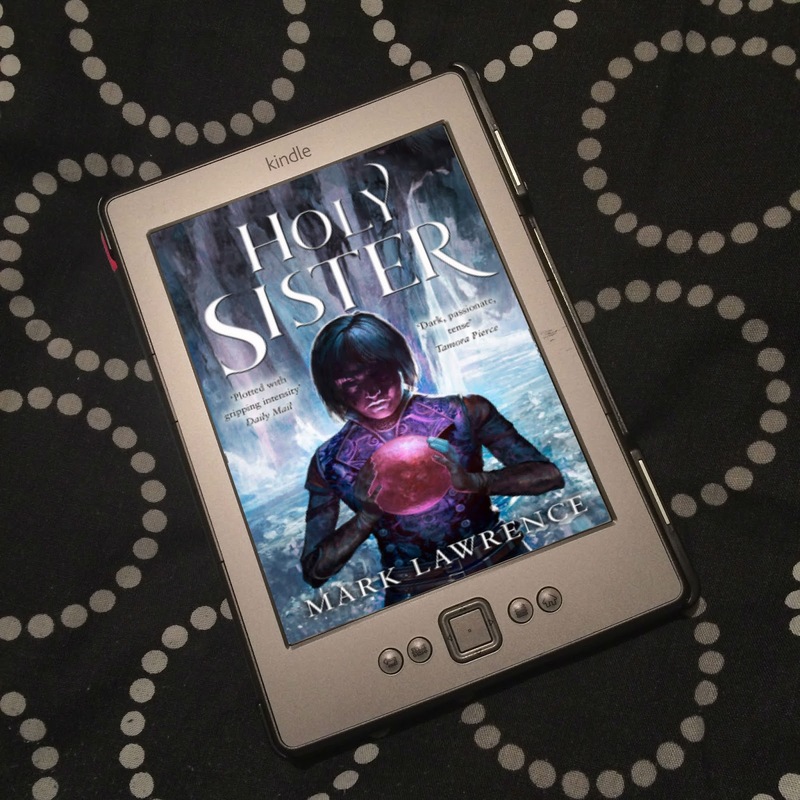 The Cover was completely made in Adobe Photoshop from scratch – including the layout and type. Once the publisher and I had decided on a sketch to move forward from, it was a case of redrawing it properly. The cover was designed as a book jacket, and therefore a lot of type had to be designed into certain spaces. Things like that are important to keep in mind early on, so that nothing needs to be moved or covered in order for text to fit in. This set of three images show some early ideas for the jacket design. I liked playing around with what was under or above the horizon line and the different effects I could achieve with changing the placement of colour. I like the watercolour and stamp on parchment look. Although I work digitally, traditional tools are a big part of my background, and traditional looking results are always very satisfying to me. 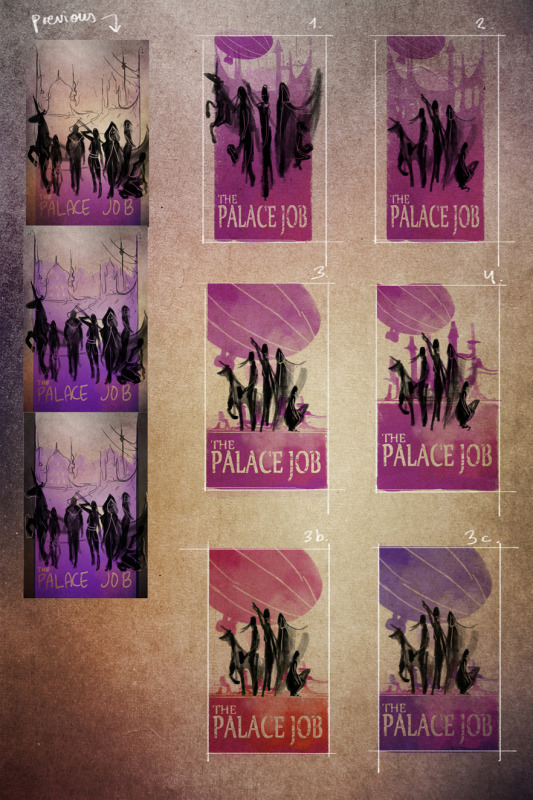 Most of the early sketches for ‘The Palace Job’ where variations of the current design. We went through a lot of different compositions before we found one with a good balance. In most of the cases, the airship appeared too dominant or the characters where positioned in an unbalanced way. Here you can see a few of the different compositions I initially started with. Number 4 is the one the publisher eventually went for, but with the colours of number 3c. Sometimes small variations of the same image can make it easier to tell what direction to go. 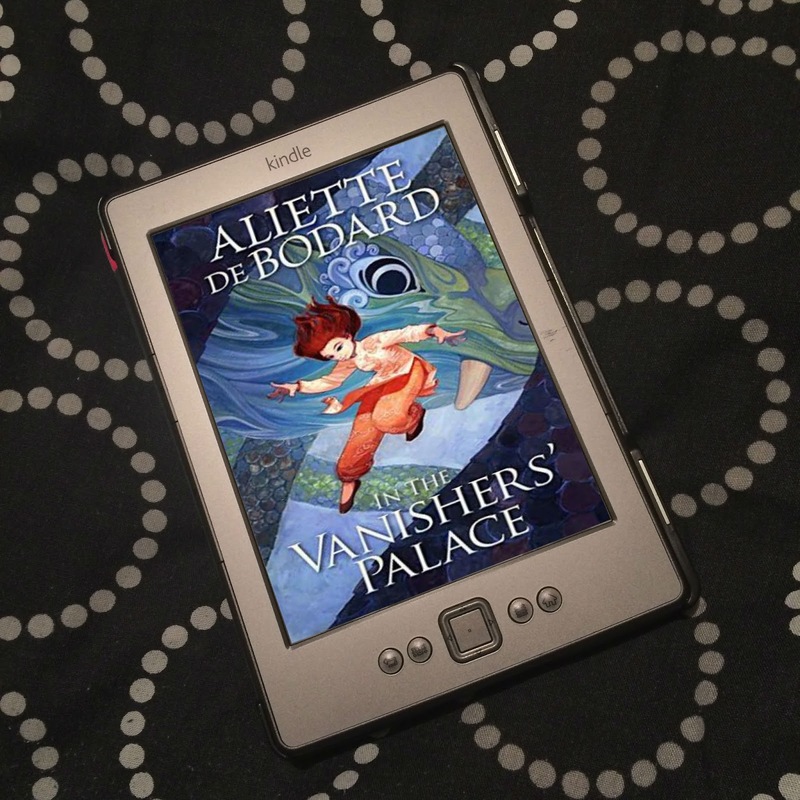 Thank you, Lili, for such a fascinating interview! Isn't the cover just gorgeous? And all those early ideas - so much time and effort! Lili ​is a London based digital illustrator and concept artist. She has a passion for film and videogame projects, with experience working with animated films and indie game projects. Be sure to check out Lili's website, and The Palace Job, which was released on 26th September 2012.